Canning Town’s Freddie Turner is back in action on Saturday, 27th July, when he battles Birmingham’s Dee Mitchell, at the Johnny Eames promoted ‘Turf War’ event at York Hall in Bethnal Green, London. 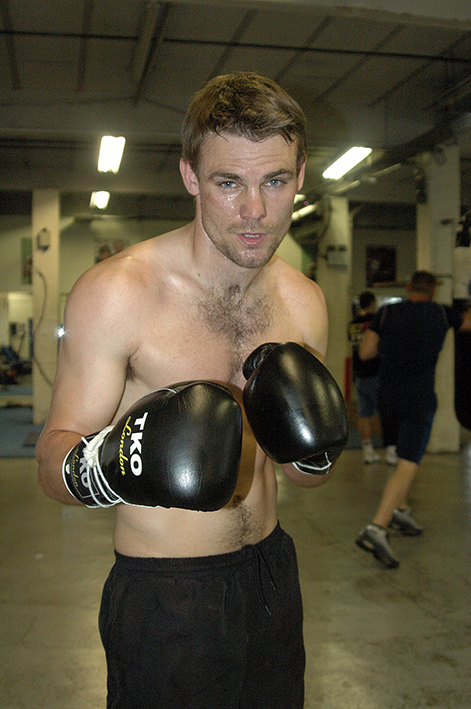 After missing out on Johnny Eames’ inaugural event on June 1st, due to illness, young Freddie thought his season was over, butthat soon changed after discovering that he was first on Johnny’s mind when the TRAD TKO boss started putting the card together for ‘Turf War’, as was made clear when he spoke earlier. “Yeah, it’s amazing I’m out again on July 27th, never had this before. I was supposed to have been out on Johnny’s last show on June 1st. I was absolutely gutted to miss that show, everything was going well, I had no problems. Good sparring, good training, I took the time off work to make sure I was all rested, then the week before I got a chest infection. It had been moving around the gym, I got it so took a few days off and then I had my medical and the doctor advised that I didn’t box, so I came up here to double check with Johnny (manager and promoter Johnny Eames) and Jimmy (coach, Jimmy Tibbs) and they both said straight away that ‘there’s no point, you’re not going to look your best and we want you looking your best as we’re moving you on to bigger things’, so I decided to give that one a miss. So here we are a month later and Johnny already has another fight for me, this is unreal, I can’t believe this. I’ll be fighting Dee Mitchell, I know he’s a tough kid, he’s a tough, rugged come forward type of character. No problem, I think I’ve got the tools to overcome him quite well. You know what, I talk straight, I know I’m on the show but if you’re a boxing fan this is what you want to watch. Johnny puts on great shows, they’re not one sided affairs like, hmm, I’m not going to disrespect anyone but sometimes the bigger promoters, well let’s say they ‘look after’ their fighters to an extent where you may as well hang a punch bag in the ring and just watch someone beat it for four rounds – to me It’s not entertainment, it’s not sport at all. Johnny’s shows are different, yeah, he wants his fighters to win but the difference is they’ve got to earn the win, you know what I mean, you’ve got to go out there, do your graft and earn the win. The fans, what more can you want, for thirty five pounds you aint going to get a better show, you look at the poster, everyone of those kids is a genuine prospect, you know what I mean, they’ve all got the potential to go somewhere. There’s no one dragging their heals, it’s a good show for the fans, I really appreciate that, especially for my fans. I mean it’s hard for fans to get to every show, but they are awesome, they get out there every time to support me. Freddie Turner versus Dee Mitchell features on the undercard of the Ian Bailey-Dan Naylor Southern Area Featherweight title clash, at the Johnny Eames TRAD TKO Events promoted ‘Turf War’ at York Hall, Bethnal Green, London on Saturday 27th July 2013. Tickets, priced £35 (Standard Seated) and £60 (Ringside) are available on-line at www.tkoboxoffice.com or in person from the TRAD TKO Boxing Gym in Canning Town or from any boxer on the event. For further information call 07960 850645 or 07557 641597.